Let’s play a quick game of word association. When I say, “remote worker,” what comes to mind? Is it a 20-something creative-type sipping on a Starbucks latte? 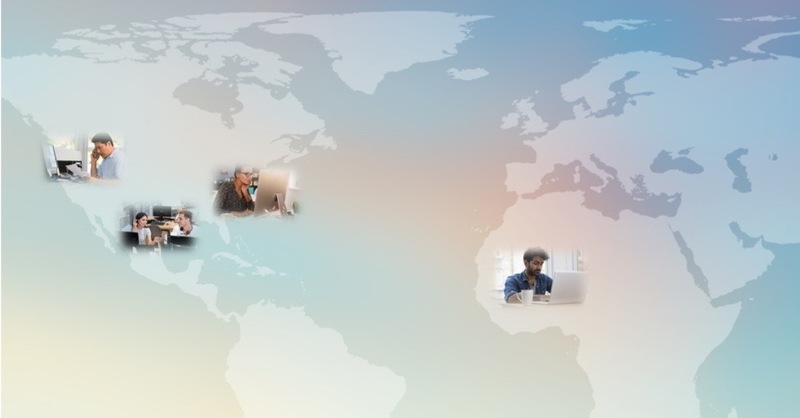 How about a global team videoconferencing in real-time? Yes, it’s easy to conjure up a stylized version of an offsite freelancer or employee, because the interest in (and need for) remote, fractional, and temporary work is growing at a breakneck pace. Because today’s most talented employees prefer the flexibility and quality of life that the new way of working provides, leading enterprises and emerging businesses alike are adopting flexible policies to embrace the new normal. Tech giants like Xerox, Intuit, and Amazon are now some of the most telecommute-friendly companies in America – and even industry blue chips like Toyota, JPMorgan Chase, and Hilton are considered among the most popular companies for remote jobs. A business world fueled by remote, fractional, and temporary work is our new reality. Now, it’s time for every CEO, President, and GM in America to consider how they will lead their offsite workforce, both present and future. If you weren’t already feeling motivated to investigate your new workforce options, consider the feedback from the more than 1,000 hiring managers polled in UpWork’s 2018 Future Workforce Report. Among the golden nuggets of information – freelancers are predicted to comprise the U.S. workforce majority in the next decade. The report also states that hiring managers expect a whopping 168 percent increase in the amount of work done by flexible talent within 10 years, while as much as 38 percent of full time and perm employees will work on a predominantly remote basis. What will drive the success of this new workforce? While business leaders must re-examine their current leadership strategies, adopting and using the right tools is also of paramount importance. Every team with remote, fractional, or temporary employees needs technology to replicate the connective tissue normally found within an on-premise environment. Popular communication and collaboration apps like Slack, Zoho, and Basecamp allow groups to chat, message, and keep track of project statuses and attachments. File share services like SharePoint, Dropbox, and Box use the Cloud to facilitate the exchange documents and images anywhere on the planet. Videoconferencing with screen sharing empowers cross-functional teams to collaborate better. From webinars to department check-ins, video apps such as Zoom, WebEx, GoToMeeting, and Join.me make remote and fractional work more efficient and engaging. There are plenty of new tools that will help drive day-to-day operations, but, they are worthless if you don’t exercise the most important factor in having a successful offsite team – managing your disciplines of leadership. At the end of the day, the tools are the medium, just like with great marketing. What matters most is the message. Effective leaders share a unified business plan and ensure the vision is communicated clearly, consistently, and often. The strongest leaders in today’s economy provide a clear vision of mission and business goals. For example: “We want to grow significantly next year” is vague; “Our goal is to grow our customer base by 20 percent” is clearer, and more focused. While you’re getting closer by supplying numbers or percentages, you can do even better. Communicate something concise, like, “We want to acquire 10,000 new customers in the next two years.” A measurable goal helps bring a team together, regardless of the physical location. Providing regular updates on the march toward the company’s stated goal gives the kind of feedback that is essential to maintaining engagement and motivation. In my work coaching executives, I’ve found that scorecards are helpful. By creating a scorecard system, everyone in the organization is aware of the quarterly and annual revenue goals, as well as the numbers that have a solid-line connection to revenue. Scorecard components could be customers, order frequency, average order size or some other metric. Think about what statistics mean the most to your business. Whether they are full-time on-site, remote, fractional, or temporary, every person in your organization needs to understand how they contribute to top, measurable goals. In larger organizations, CEOs must work with leadership teams to make this happen. Work together to list every department and role in your company. Define how each team member provides value and explain to them what they need to contribute to achieve the overarching mission or goals. If you haven’t heard enough new terminology lately, get used to employee experience. This fresh approach to human resources understands the importance of workplace perks and recognition. As mentioned by the HR leaders at McKinsey, it can also be largely automated. By recognizing and rewarding your employees, remote and onsite, you will help improve their motivation and productivity. According to a leading executive at the American Psychological Association, positive reinforcement in the form of perks and public recognition lead to lower turnover and the ability to attract and retain top talent. In a workforce where only about half of employees feel valued, this simple strategy will give your business a unique and valuable edge. When it comes to leading a remote team, you may think you need someone who knows the “latest thing,” but the truth is, the foundational principles of leadership remain the same. How you act and execute on those are different. So, while new ways of working continue to evolve, as do the tools used for communication and collaboration, the key principles of great leadership remain. Let’s discuss your business goals and how you can tap and empower the new workforce to growing your business. Contact me for more information. 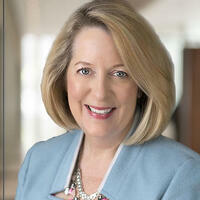 Beth VanStory is a fractional CMO and Executive Coach who specializes in helping leaders grow their businesses. She has worked remotely with clients for more than 10 years. Learn more about her expertise by visiting her Chief Outsiders profile. Beth VanStory is a Fractional CMO with Chief Outsiders. Her background includes experience in Digital and Omni-Channel Strategies, Positioning and Messaging, B2C and Startups.